The CFTC has announced that the application submitted by BSDR LLC, a subsidiary of Bloomberg LP, has been approved provisionally as a Swap Data Repository (SDR), according to a CFTC press release last week, and subsequent announcement from Bloomberg.com regarding the updated status. The application was submitted last year, as reported by Forex Magnates when Bloomberg filed its SEF application, and subject to the 180-day processing period by the CFTC for SDR applications. BSDR LLC, becomes the fourth SDR after ICE Tradevault, CME Group SDR and DTCC Data Repository, to be provisionally approved by the CFTC, and registered to be able to trade in interest rate, equity, credit, foreign exchange, and other commodity asset classes. 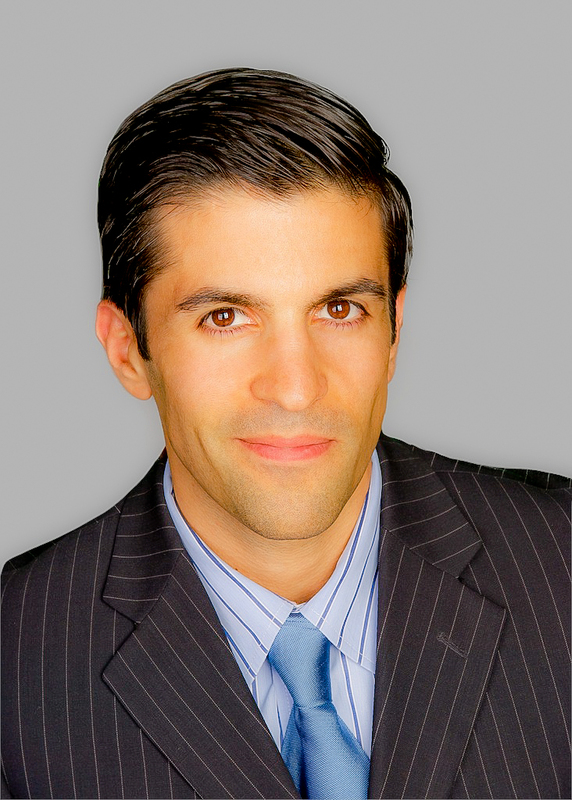 The purpose of an SDR under new regulatory mandates helps to provide the public with a central repository to access post-trade data on multi-asset derivatives information, and SDRs like Bloomberg’s BSDR subsidiary, would help further promote the transparency and standardization in the swaps market that are the goals of the new regulatory changes for Swaps pursuant to section 21 of the Commodity Exchange Act and section 49.3(b) of CFTC regulations. With the new Swap Data Repositories underway, a once opaque market has now become more disclosed with prices recorded to a centralized tape for a reported $600 trillion market. However, Bloomberg noted that it is continuing to work with CFTC staff to satisfy certain conditions and plans to be operational in the near future for its SDR subsidiary. In a video series yesterday hosted by Bloomberg’s Thomas Keen that examined the impact of swaps in the market during 2013, reference was made that nearly 70 percent of all swaps are now centrally cleared, and how in 2014 the focus of reform turns from clearing to execution and transparency, as per the description. Bloomberg’s Swap Execution Facilty (SEF) will be reporting required post-trade data back to its SDR, BSDR LLC. More and more, swaps will be “Made Available to Trade” (MAT) on Swap Execution Facilities (SEFs), such as the recent request made by Javelin’s SEF in its latest request to the CFTC for a MAT application. As this continues, the last sale information of trades will be reported to and disseminated to the public from Swap Data Repositories, and re-posted in aggregated reports from the CFTC, as well as facilitated through 3rd party service providers of post-trade reporting solutions. The above video panel discussed the change in CFTC leadership, potential consolidation of SEFs, and major regulatory trends to keep watch of. As the theme of over-the-counter (OTC) products that are traded off-exchange shifts towards a more listed and centrally cleared on-exchange model, similar efforts are underway in Europe with Trade Repositories (TRs), and ahead of EMIR regulations set to come into effect. In Europe, firms must register TRs with ESMA the European Securities and Markets Authority, such as when CME and IntercontinentalExchange Group filed respective applications, as covered by Forex Magnates in November, as an example. According to Forex Magnates research, Bloomberg will provide clients the ability to report transactions to trade repositories to help them comply with EMIR transaction reporting mandates. Bloomberg’s Swap Execution Facility (SEF) was the world’s first to receive CFTC approval, and its SDR application is now the fourth such provisionally approved SDR, as noted above. As many of the fine tuning of new mandates surrounding recent regulatory changes about the Swaps market continues, the CFTC’s use of the “provisional” approval is a temporary measure or means to keep things from remaining at a stand-still. A plethora of no-action letters related to interpretations and the ever-changing content within the context of the regulation of swaps, has been pumped out from the CFTC’s press office – and is reflective of the administrative burden resting upon both the agency and its member firms which must comply with the complex and seemingly dynamic standards. Things may get better before they get any worse, a more positive adaptation of the famous adage that things will get worse before they get better. On a separate but related note about provisioning (in a different context of the word), Forex Magnates recently reported on the TESI initiative aimed at standardizing trading enablement in markets such as swaps. 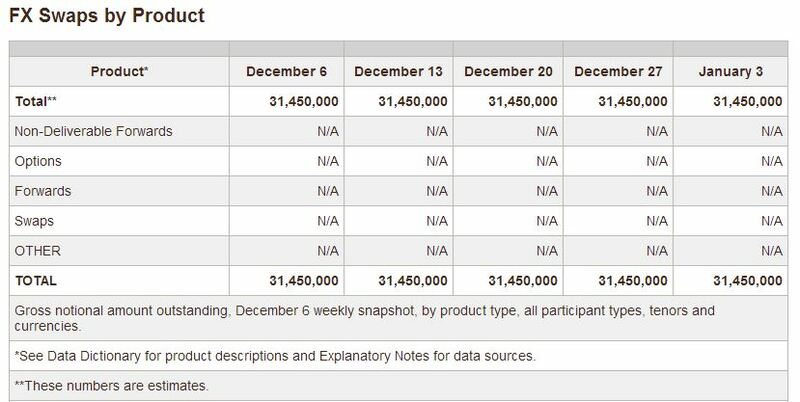 The CFTC began reporting swap data in the beginning of 2013, and release the weekly figures every Wednesday. 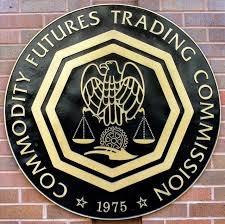 The CFTC Swaps Report represents only those swaps that are reported to the CFTC’s registered SDRs by swap market participants. The CFTC Swaps Report currently incorporates data from three SDRs (CME Group SDR, DTCC Data Repository, and ICE Trade Vault) but noted that additional SDRs could be incorporated in the future, such as data from the newly approved BDSR LLC from Bloomberg. 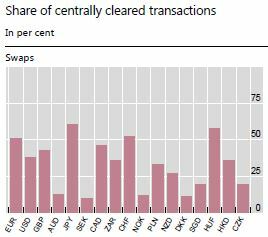 Data from the latest quarterly report from the Bank for International Settlements (BIS) depicts the percentage share of centrally cleared swap transactions, per currency, reflected in the latest BIS quarterly survey in December 2013. Interest rate swaps however, continue to dominate the market share of volumes in both notional amounts outstanding and gross market values. Lch.Clearnet, via its SwapClear service for – as the name implies – clearing swaps through a centralized clearer,handles a significant amount of U.S and global flows in this segment. The CFTC describes the FX asset class, in the context of these prepared reports, as including only those transactions that involve the exchange of two different currencies on a specific date at a fixed rate that is agreed upon at the inception of the contract covering the exchange, as well as the reverse exchange of those two currencies at a later date (hence swap aspect of the trade), and at a fixed rate that is agreed upon at the inception of the contract covering the exchange. For foreign exchange swaps, the estimated gross notional outstanding volume of swap transactions, across forwards, swaps, options and NDFs, as reported by the CFTC, stands at 31,450,000 million of USD which is $31 trillion weekly for the weeks reported through January 3, 2014 (from December, as seen in the excerpt below). The number has not changed as it remains an “estimate” for now, and the swap reports for FX are covered for 6 major currencies and all other currencies fall into an aggregated value. The reports are expected to contain actual figures -rather than estimates- as trade data reporting gets underway.